Caption - photo 800505 - The Oberberghorn occupies an excellent position on a superb ridge. This view looking southeast shows the optional paths with the lower path avoiding the trickiest sections of the more exciting ridge path. 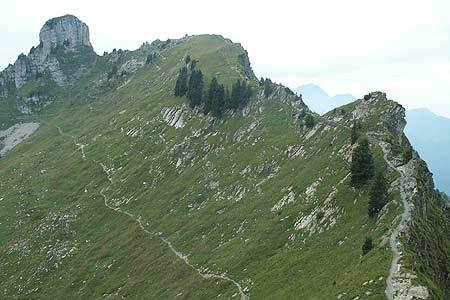 Panorama Path at Schynige Platte.